Classic elegance for the modern woman. 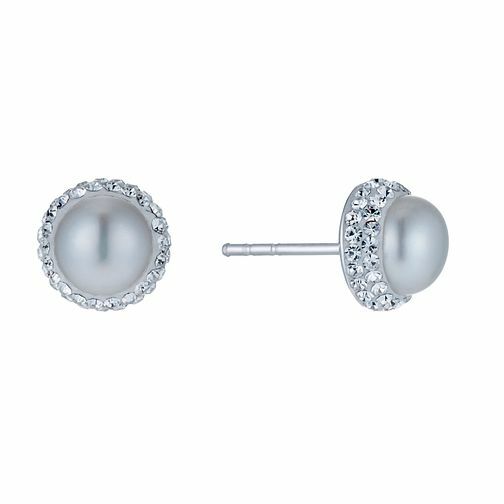 These simply stylish sterling silver cultured freshwater pearl stud earrings are crafted with crystal outline detailing for a glamorous feel. Sterling Silver Cultured Freshwater Pearl Stud Earrings is rated 4.7 out of 5 by 6. Rated 5 out of 5 by Anonymous from Perfect gift for my wife My wife is so happy with her new earring they are perfect and exsactly what she wanted, great service.